Today I wish to address the subject of online ‘ordination’ and issues that surround the subject. So sitting at my desk with my laptop or mobile phone in hand it is so easy to see on the internet just how many so-called online ordained ministries there actually are. I find a site and quickly apply by ticking a few boxes. So this means a person who takes all of five minutes is validly ordained then does it? Well in actual fact, online ordinations are NOT valid ordinations and most if not all true Churches of God would refuse to accept this type of ‘ordination’. In today’s world of modern technology, it seems all too easy for people who do not have a genuine calling from the Lord Our God in their hearts and in their lives to become online ‘ordained’ via the internet or by simply sending an email. True ordination is not something to be taken lightly and is a lifelong vocation of service to God and to his people which needs knowledge, formation and discernment and thus ordination takes much time to realise and this can often take years and which is definitely not able to be done online or via email. When God calls us in our hearts to his service, he is calling all that we are, heart, mind, and our very soul to serve him with our whole lives. We are called to be shepherds to God’s people, we represent the Lord on earth until he comes again in Glory. We are called to teach and to guide the Lord’s people to have a fuller and loving relationship with God our Father so enabling them to gain the salvation that only God can give. 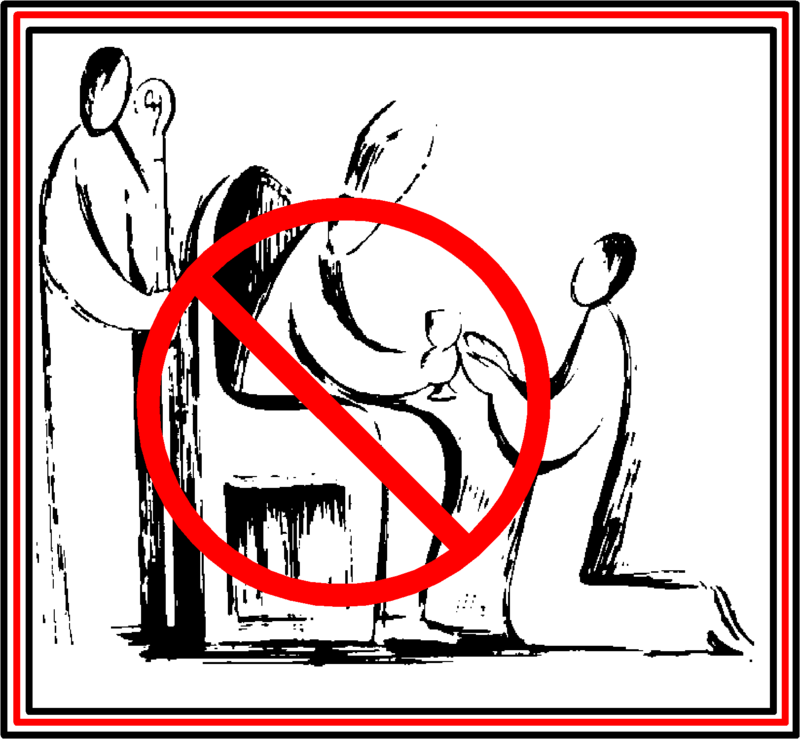 Online ordination is not done by the laying on of hands in Apostolic Succession and not to be ordained by Apostolic succession means the person is not receiving the necessary gifts of blessing, sanctification and grace that is passed to us through the Holy spirit. 6. That is why I am reminding you now to fan into a flame the gift of God that you possess through the laying on of hands. 7. God did not give us spirit of timidity, but the spirit of power, love and self-control. 8. So you are never to be ashamed of witnessing to our Lord, or ashamed of me for being his prisoner; but share in my hardships for the sake of the gospel, relying on the power of God. 13. Keep as your pattern the sound teaching you have heard from me, in the faith and love that are in Christ Jesus. 14. With the help of the Holy spirit who dwells in us, look after that precious thing given in trust. We are given the gift and blessing of the Holy Spirit through the act of the laying on of hands in Apostolic succession in trust and this blessing and gift is most wondrous and must never be belittled or taken for granted and we need to be in a personal place of true readiness to receive this most wonderful blessing and this is why ordination requires knowledge, formation and true devotion before we even attempt this wondrous, trusted and vital role of the service as the voice of God within the world. Simply getting ‘ordained’ online usually entails either none or very little training and formation and hence does not give the vital preparation that is necessary and is an issue that can cause danger to the people we are sent to serve. Another very dangerous issue with this type of invalid ordination is the fact that we often serve very vulnerable people who it is our duty to care for and to protect and there are no criminal background or other checks in place so that even those with dangerous backgrounds can use their so called `clergy status` to cause harm to those who are most often those who need us most. If anyone is online ordained and feels they are truly called into the Lord’s service, contact a true church who will help you to do it correctly. On line ordinations are not truly calling from God. It is Basic money maker.. You Must be called to serve God not man. On line Ordinations should not be available.